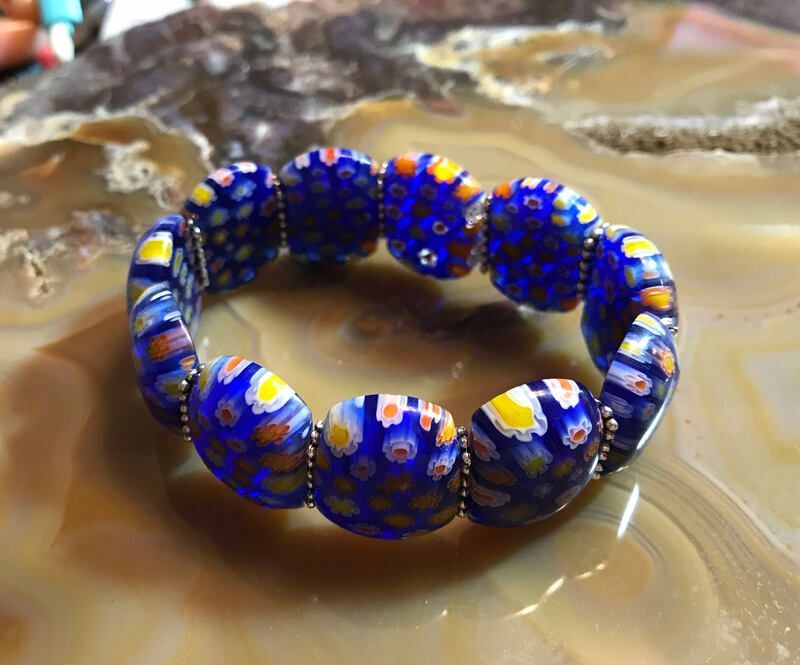 The beautiful Glass Cuff Bracelet is made in the tradition of glass blowers called Millefiori. It is made of small tube flowers that have been melded into a glass frame to create many flowes together in one piece. Metaphysically, glass represents and carries the energies of transformation, merging of elements, rebirth, focus, and communication. The colors of the glass bring the vibrations of those specific color energies.